Gunny Wolf from SemperToons has created this cartoon that features a child dressed in adult sized Marine D.I. camo gear and cap shouting at a teddy bear, "Get your eyeballs off of me!" 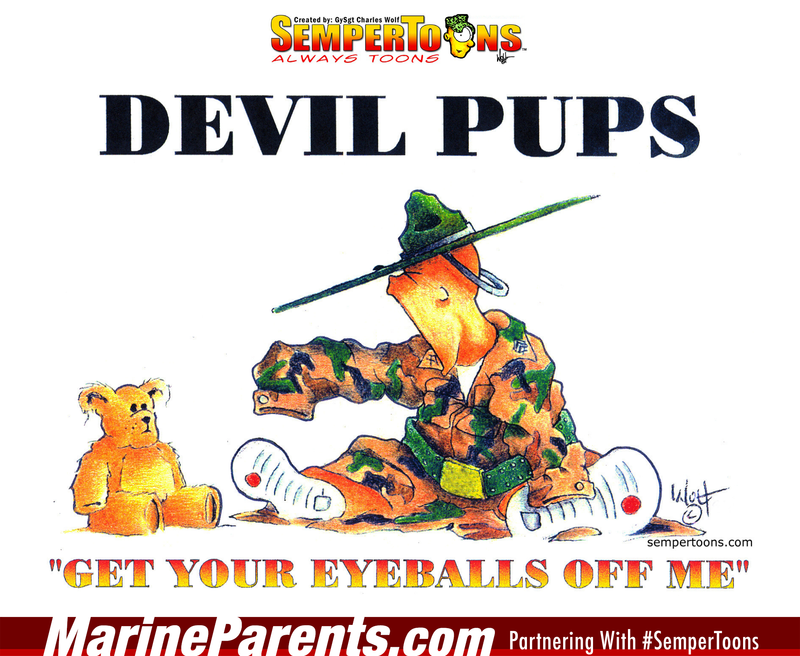 Shop Devil Pups SemperToons at the EGA Shop.